DFRobot ROB0147 Max:bot DIY Programmable Robot Kit is an entry-level DIY robot specially designed for kids to maximize their creativity. This Max:bot kit perfectly functioned when connected to Micro:bit. The Micro:bit is the brain with its own logical system that can process the received information and send out commands. 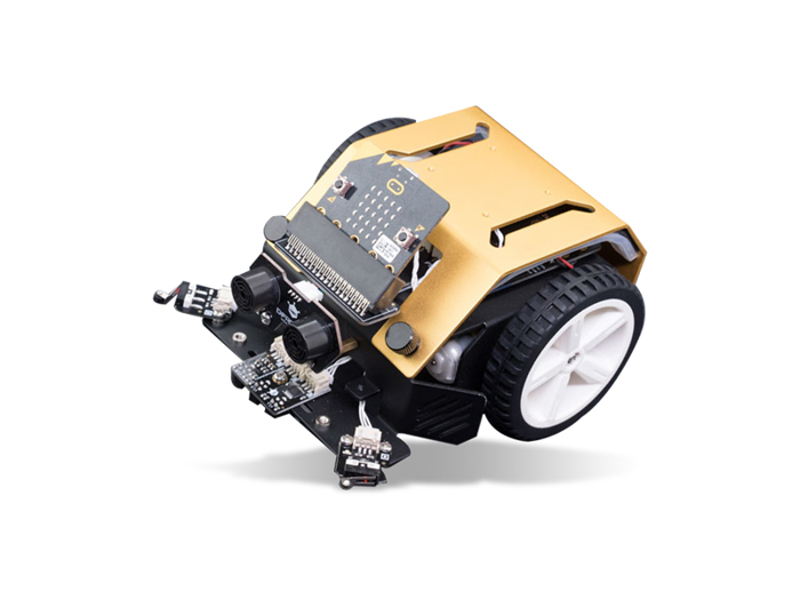 The Robot kit features electronic modules including motors, speakers, line trackers, distance sensors, and is also extendable with 50+ Boson modules. This Max:bot kit comes with well-designed aluminum structure and the robot can be assembled by kids on their own. The Robot kit is available in 200mm x 150mm x 100mm net dimensions and 250mm x 130mm x 150mm package dimensions. This DIY Programmable Robot kit is ideal for tracking line, chasing light, detecting edges, remote control, and to avoid an obstacle.